My life is full of "I would nevers." Especially when it comes to parenthood. All those things that I said I would NEVER do… until I did. The truth is, I never thought I would be THAT mom. You know, the one who feeds her kids "healthy" food. THAT one. The one whose sole purpose is to make her kids the "weird ones" while simultaneously making other moms feel bad about what they feed their kids. Yep. That's me. I did not intend this. Many times, I don't WANT this. But each time I try to fall off this particular wagon, I am thrown back on. With a vengeance. If you've been following along on Facebook, you know that last week, my kids requested Lunchables. The way my daughter asked, it was very clear that she knew I would say, "No." Because she knows, as well as anyone, that I AM "that mom." I understand my journey, our journey. I know why my impulse is to say, "No." I have my reasons. I understand them, and have (mostly), made my peace with them. I could explain to my kids why I don't think it's a good idea. But, I am a teacher, and I sometimes have to remind myself that telling isn't always the best way to teach. And though, in some cases, learning from experience simply isn't possible, desirable, or even safe; in this case, it was both doable, and safe (though some would argue... ) so I decided to give in. I devised a plan. The kids could pick any two Lunchables they wanted. They would finally get to try what everyone else had. I would also be making my own, "homemade,"Lunchables in an attempt to match or "beat" the strore-bought variety. My kids both picked one nacho lunch and one pizza lunch. These were the two options offered at Aldi. I asked if they wanted to go to another store with more options, but they said that these were the only two that other kids ever brought to school. And, unlike their mother who can't make any decision easily and must always consider all options, they are very decisive kiddos. Interestingly, although they picked the same two lunches, my daughter (who is also older) chose two name-brand Lunchables, while my son chose the Aldi store-brand imitations. Day One: Store-bought Nacho Lunchable, plus apples. Daughter's response (when asked which lunch she liked better): About the same. Night of Day Two… My daughter had an allergic reaction. I'm still not sure about the cause. Her behavior was similar to that which occurs when she has red dye or soy. From a young age, we called it "soy rage." Her ears were also on fire and bright red. In addition to the fact that the way she was acting was completely unreasonable and out of character, this was the indication that the behavior was allergy related. Once I realized this, I stopped trying to deal with the behavior and instead gave her an antihistamine. She, almost immediately, fell asleep. At this point, I considered abandoning the experiment. I didn't know what was causing the reaction, and it even occurred on one of the days when I made a homemade lunch. However, it may have been a cumulative effect from the red dye (in the drink… which I honestly hadn't thought about) the sugar, the soy that is often in processed foods, and possibly even the corn. Daughter's response: Asked me, all on her own, to remove the drink before giving it to her. Didn't like the lunch. She particularly disliked the sauce and said that it made her stomach ache so badly that she had to go to the nurse. This almost looks like "green-themed," lunch, but it was completely by accident! Daughter's response: Loved her "regular," lunch and has no further desire to have a Lunchable. Mom How was your lunch? Mom Which did you like better, the Lunchable or today's lunch? MJ I didn't like the mushrooms on the pizza. Mom (Seeing empty lunch box) But, you ate the mushrooms, just not on the pizza? Mom Without the mushrooms, which one did you like better? MJ I liked the olives instead of the cheese, and the sauce was much better. 1) Not every child reacts to food the same way. 2) Food reactions can have a cumulative effect. 3) It is a lot easier to "make lunch" with a Lunchable. 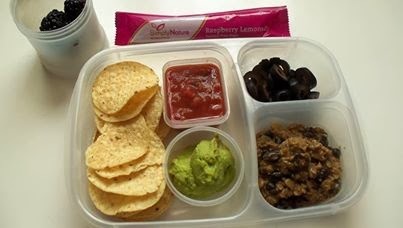 4) My daughter realized that she likes my "regular," lunches better than Lunchables. 5) My son likes just about everything he eats, good for him or not, and that's no surprise. 6) I'm ok with the fact that my kids don't hate "junk food." When I first shared the information about letting my kids try Lunchables, one of my friends commented that they would hate them. When (at least initially) they didn't, I felt, a bit, like I had failed. My kids are supposed to only like fresh, natural, homemade, good for them foods. Right? 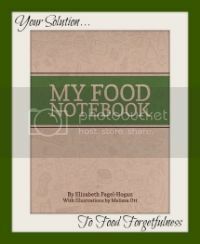 My kids, like most kids, like many adults, like me enjoy a lot of different foods and that includes foods that aren't, necessarily, the best for us. That's natural. That's real. As long as they like the "good," along with the, "bad," I'm cool with that. Especially since even my own definition of good and bad changes all the time! I will still make choices about what to feed them, which, most of the time, will be healthy. But it doesn't necessarily mean that I'm doing something wrong if they still like or even prefer unhealthy food. 7) Be careful when you say, "I would never…"
I read this post last night and had to fight the urge not to feel insulted. Now, first of all, this is just plain silly because I do not have the talent or skill to make 99% of what she shared, so even if someone should be insulted, it clearly should not be me. Most importantly, I need to tame the "I'm offended," reflex a bit, and try to take things in the manner they are intended. 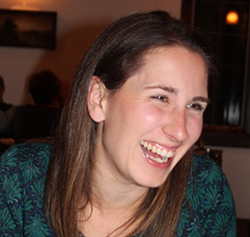 Her post, like the lunches it pokes fun at, was meant to be "fun." And yet, it can be so easy to look at these lunches and say, "I would never…" or as she puts it, "Ain't nobody got time for that." But there are people do who have the desire, and therefore make the time, for THAT. When you pack "regular," lunches, it can feel like those who make art for lunch are just trying to make the rest of us look bad. I would venture to say, that most of the people who made the lunches, enjoyed what they did. It's how they express themselves, it's how they connect with their kids, it's how they relax. There was a time when I enjoyed making "fun lunches." I'm not very crafty, but I like food, and for me, it was a fun way to express myself creatively. All of this to say: I worried, a bit, about sharing our Lunchables Experiment. I worry about each post I write. I want to encourage people. 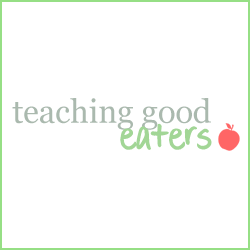 I want them to know that if they have the desire, they can change their kids eating habits. 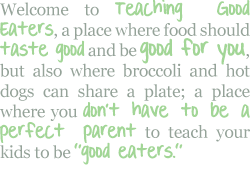 I want them to know that there is a way to teach your kids to be good eaters. That is my intent. My intent, is NOT to make anyone else feel bad about the choices they make. Do I think that Lunchables are a healthy lunch? Nope. Do I think that kids would be better off eating something else for lunch. Yes. Do I think that you are a bad parent if your kids eat Lunchables every day. Nope. Really. Could my own kids have been better off without the McDonald's we had for lunch yesterday? Yep. But we had it anyways, and I didn't feel guilty. Could there come a time when I outlaw fast-food forever…. Who knows. I've learned to never say never. What is something that you now find yourself doing that you said you would never do? What was the last time you had to talk yourself down from being offended? 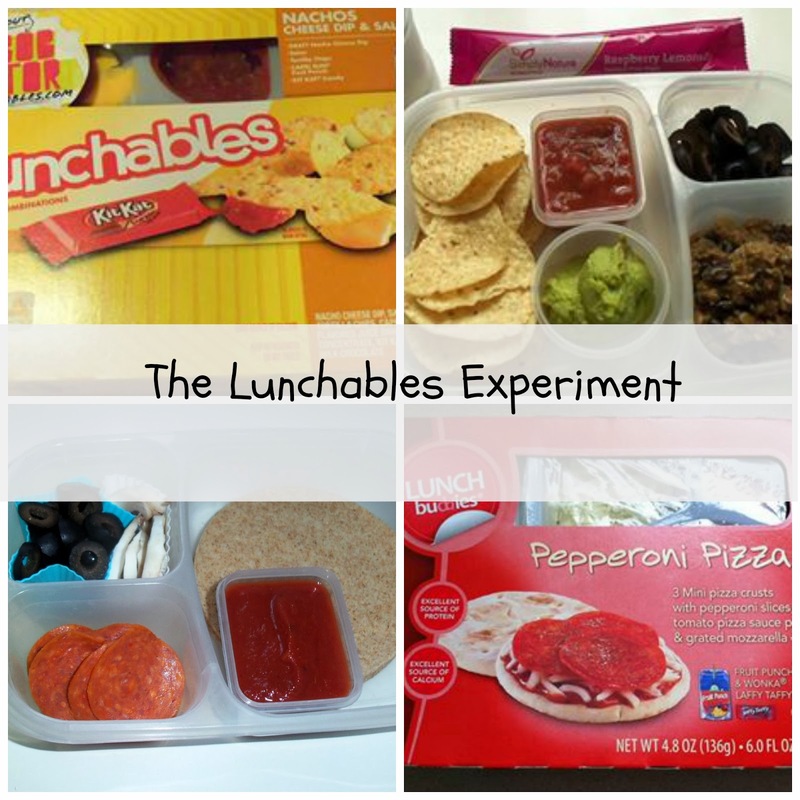 Have your kids tried Lunchables? Do they like them? What do your kids eat for lunch? Are fun lunches on your "I would never…" list? If your kids pack lunches, who makes them you or them? Thank you Kelly! Packing lunches has been a whole lot easier since I got your lunch boxes! Thank Myra! Just checked out your site. Great lunches!! I'll be looking to you for inspiration. Honestly, I thought that the drink and the candy were going to be the big draw for them and was surprised to discover that they didn't even mention it! For them, I think it was more about trying something that everyone else had. I had never looked very closely at the Lunchables before and was SHOCKED at how little food they actually contained. The majority of the calories come from the drink (sugar water) and the candy! It's robbery how much they charge for those things! I gave my kids something extra with the lunch and gave them a pretty big morning snack on those days. Otherwise, I was afraid that they would crash by the end of the day! Love your post! My children's school has a trash free lunch policy so the issue of Lunchables has not come up. I would love to handle it like you should they notice them in the future! Oh wow! That would be a challenge. In a pinch I love to throw in a nut bar or a squeeze applesauce or something. I guess it does eliminate the Lunchables "issue," though. It's actually ok. I send granola bars and yogurt but put them in their own container or in one section of their divided containers. Yes! You're lucky they aren't available… They have done an incredible job marketing to kids, and from the reaction to this post, it seems that many parents have found themselves in the position of having their kids ask for Lunchables!! I think that by giving your kids the Lunchables you've taught them a valuable, life-long, healthy-eating habits lesson: There's place in the diet for everything--even Lunchables. What matters isn't what you eat. What matters is how often you eat it. Bravo. Thanks Dina! Love your philosophy! I had found your site before but lost track of it. I'm looking forward to checking out more of your posts and will be sharing your "tasting," post with my readers! My kids get school lunch these days and I enjoy my morning routine a lot more because of it. When I did pack lunches we limited Lunchables to field trip days only. Our school asks that you pack a lunch for field trips in throw away packaging so that the teachers/chaperones don't have to keep up with lunchboxes after lunch. That gives them 3 or 4 times a year that they get to remember that they don't really like them all that much. We have moved quite a bit, and therefore my daughter has been able to try school lunch at 3 different schools. At her first school, she loved buying lunches. The best part about it, was that they had a salad bar! At her next school, she hated the school lunch. Though I packed lunches most days anyways, I missed the convenience of letting her buy on the days when the pantry and fridge were bare or when I just didn't have the time. At the kids current school, my daughter will buy a lunch, but only when she has to. My son loves the school lunch, so I let him buy once a week, if he asks. Great post, Julie. Checking out your post via Kellie, too. 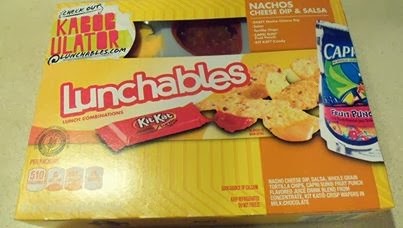 I admit my kids would eat the Lunchables lunches if I sent them in their lunchbox. But, they don't ask for them, and I'm happy to give them the homemade lunchables so that I can pick the quality of the food. Great lesson that you've taught your kids! What did you use for the "crust" in your homemade lunchable? Thank you so much for your kind comment! #1 Thank you--- I have been trying to find my voice as a writer. I'm disappointed in most of my posts, but this one felt right... now if I could just do it again! Ha. #2 Making school lunches has been one of the biggest challenges for me and it continues to be a challenge! I worry even more as they get older- what in the world do you pack for a middle school or high school aged boy that's healthy and doesn't totally seem strange??!! #3 I feel horrible for your little one! Two rescources that I suggest for you... first and formost the book Cure Your Child with Food by Kelly Dorfman, secondly check out the site Eat Your Beets-- particularly, this post: http://www.eatyourbeets.com/my-gaps-baby/ #4 Sure, I'd love to talk too... you've touched on a few of my favorite topics ;) perhaps we could FB chat? #5 I'm glad you found my blog too... though I'm not sure that I still have the subscribe option up on my sidebar... I'm going to have to check on that sorry!! This is the most interesting thing I've read all day. I've never been a fan of lunchables, because I just don't trust something that ... processed ... but the fact that your daughter reacted so poorly to it? And her stomach hurt? I guess it doesn't surprise me, but that's just crazy. Your lunches look MUCH more appetizing. Thank you!! My daughter can be very sensitive to what she eats... I'm just thankful that I'm aware of it. I can't imagine the health and/ or emotional issues she would have if she ate processed foods all the time! I think that she has a harder time with processed foods than my other kids because she is allergic to soy and most of them have some amount of soy in them--- since she doesn't eat many processed foods, I've never worried too much about ingredients like "soy lecitin," but, I think that if she has several within a short period of time, they have a cumulative effect. What a GREAT idea! I am "that mom" too, even though I never thought I would be. My son has so many food issues and sensitivities that drive me crazy as I try to learn how to feed him without making him sick. He LOVES everything, from raw spinach to McDonald's french fries. I don't ever want him to feel left out at birthday parties and things like that, but with sensitivities to gluten, food dye and corn it's really, really hard. I love this. Its amazing how your daughter knows what is best for her health and her body. You've definitely taught her well! 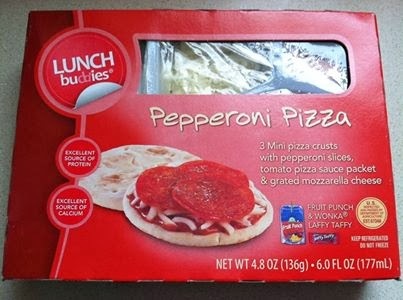 I feel kind of childish saying this, but I use to much on the pizza lunchables, but I've replaced them with my own type of mini pizzas. I like to use small thin bagels as the crust, mix up my own sauce, and use a lactose free cheese that I found at my local supermarket. They're delicious!